Powered by wonderful performances by Ruth Negga and Joel Edgerton, “Loving” is easily one of the best movies of the year. Not only is it understated and beautiful storytelling, but it’s also very timely and relevant. 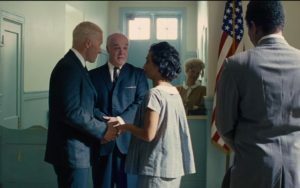 Directed and written by Jeff Nichols (“Mud,” “Midnight Special”), “Loving” is the story of Richard and Mildred Loving, an interracial couple who was arrested for getting in 1958 Virginia and fought for nine years for the law to recognize their marriage. Nichols and Edgerton sat down with myself and a few other members of the press to talk about the movie, the pressure of getting the characters right, and the responsibility and importance of telling the Lovings’ story on film. You can read the entire interview below! “Loving” is now in theaters. You shot a lot of this movie in Richmond. Is it important for you to shoot the film in the location near where it actually happened? Jeff Nichols: Yeah. It was a necessity, in fact. A requirement. There was really no option. I’m so thankful that the state of Virginia worked with us and worked with us on the tax incentives because, although this is a bad way to negotiate, there was really no other alternative for me. In 2012, when I first started researching this film, Virginia’s the first place I went. Bowling Green is the first place I went, and Central Point. We just had to be there. That was the court room they were tried in, that was the jail they were held in. The emotional resonance… and Ruth [Negga] speaks about this a lot, kind of the energy that was kicking off of that place was pretty palpable. And also then, it just makes it all the much more real for us and there’s a responsibility that comes along with that. Also, it’s such a beautiful place and that’s such a big part of Mildred’s character. The fact that she was willing to live in hiding under threat of arrest or much, much worse, it’s a large part of that nature. Bringing a story based on actual events can be difficult to portray on the big screen. What were some of the challenges you faced in trying to bring justice to this story? Because it’s so important. JN: For me, my brain immediately goes to narrative structure. Because these events all happened over the course of a near decade. How do I contain that, how do I show the essence of everything? The beautiful people, the beautiful family, but also all the harrowing events and the parts that I don’t have specifics to support. So for me, it really became about structure. And before this story came to me, I was thinking that if I had to tell a rural film that took place over a long period of time, how interesting would it be to tell it through seasons. And that started to become the foundational narrative structure for me. When you think about how insidious the punishment was, a big part of that was the time–especially when you know how long Richard had on this Earth–they were taking time away from these people. And that seemed to fit this earlier idea I had. So I kind of wanted you to feel like the seasons kept slipping by. That was a challenge to write that, to organize that in my mind and still be truthful to the details. How did you learn about the story of the Lovings and how do you feel like “Loving” relates to the story of what’s happening today? JN: I was approached by Nancy Buirski, Jett Doherty, and Colin Firth, the three producers. Nancy made the documentary, “The Loving Story,” it was on HBO. In 2012, when I watched that documentary, that was the first time I heard about Richard and Mildred’s story. And in my opinion, that was far too late for me to be knowing about this story. And that takes you directly to why I felt that. It’s because it’s so shockingly relevant. It was relevant in 2012, it’s relevant today, and I’m afraid it’s going to be relevant in ten, twenty, thirty years. The reason for that is because this concept of equality is not something we ever achieve, it’s not something we take care of as a society. It’s something we constantly redefine for ourselves. We make progress and hopefully we guard that progress and don’t retreat. But, at the same time, every generation has to define how they’re going to affect the concept of equality, so that in ten, twenty, thirty years, people are going to look back on us right now and say, “How did you do? How did you apply it to the world around you?” And what Richard and Mildred give us… oddly enough, they don’t give us an answer, they don’t tell you how to feel because that wasn’t the type of people they were. What they do is show us the humanity at the center of this stuff. So when we’re having these debates, sometimes conversations, sometimes arguments about the nature of equality–whether it’s marriage equality, racial equality–they show us to think about the people at the center of all these things. And that’s what’s relevant and it’s going to stay relevant for a really long time, in my opinion. Joel Edgerton: I didn’t learn about the Lovings until Jeff approached me about the project. And I always felt ok with not knowing about because I’m not from the United States. And I think I was surprised that so few Americans knew about them as well. Then, I realized, when you’re looking at a nine-year period of time of two people who lived under a very oppressive situation, that’s a very psychologically violent situation, but it’s not really news-worthy in the same way that so many [of the]Civil Rights’ big moments have been. We had the privilege of visiting the African-American History Museum, and you realize how many untold stories… you need days to go through it and soak in everything. Stories that break your heart and stories that make you laugh, and everything in between. What I love about the film Jeff made… it’s a privilege. Everyone should have the privilege of equality and I feel privileged as an actor to have been able to be part of telling this story. I think the nice, quiet privilege of the movie is that you just get invited into the living room and the kitchen, onto the lawn and into the garage of two people who are just in love and living their life. And they’re ripped out of that place and forced to live under other roofs, and jail roofs, and then in Washington, DC. But we’re constantly with the domesticity of them and the intimate space of their relationship. That is the way we need to get a window into everybody’s life. To understand that I could be you and you could be me. It’s one way to continue the conversation about equality and examining judgement. Often, as an actor, I think, “What do I contribute to the world [laughs]?” But it does feel like a privilege to be able to contribute to something that’s not selfish and that says something nice. Mr. Nichols, you’ve described the Lovings as not wanting to be martyrs or symbols. How did that play into how you wanted the movie to feel? JN: Pretty much everything. 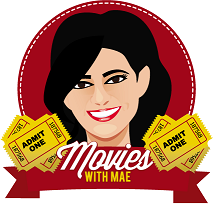 The movie is an attempt to represent their point of view throughout this experience. Which first means you have to understand their nature, their behavior. Which, at the end of the day, I didn’t know them so I’m still making a judgement call on that. Through these archival footage, through their photographs, I got a sense of them. I wanted the narrative to reflect that. As a storyteller, as a filmmaker, when you attach a point of view, it’s a powerful decision. It’s not one I take lightly. In “Mud,” I made the decision to tell that story from this fourteen-year-old boy’s point of view and it dictated everything. It dictated where the scenes started and stopped, where we put the camera. The same thing applies here. If you’re going to be following Richard and Mildred, you don’t get to go to the Supreme Court. That’s why I filmed Bernie and Phil [the lawyers, played by Nick Kroll and Jon Bass]stepping up to the podium in the Supreme Court. It’s kind of an impressionistic look. You never get to see the justices. It’s almost as if it’s a dream, happening on the edge of Richard and Mildred’s perception. And all of that comes back to, well, ok we’re with Richard and Mildred, and everything comes from that answer. Joel, you portray Richard very well. He comes off as a very quiet, but fiercely loving man. How did you approach the portrayal? Did you do any research? JE: The Nancy Buirski documentary, without that, we’d be making everything up from photographs. The photographs themselves tell a lot about the intimacy of the couple and the life and backdrop of their world. They’re a guide to everybody in the film. But to walk and talk and create Mildred and Richard, the documentary is a complete road map to that. It’s interesting in terms of playing a character who’s real. It completely swipes all other options off the table, which is the freeing part. It’s the part that makes it seem easier, because you don’t have to create something from nothing. But then there’s a clear direction of what you need to do and why you’re on that road, you start to try and push away the pressure you start to feel of getting it right. Fear of it becoming an impression or a mimicry that the end of that road is you acting in a bubble and being so self-absorbed with the creation of a character rather than the serving the movie. In this case, the task I didn’t realize was there in the beginning, [it]was to create the relationship between Richard and Mildred. That’s hard to study and hard to prepare for. It’s either there or it’s not. Thankfully Ruth being such a master at what she does and having such a great sense of humor, and being such a good person, it was easy to be around and a marvel to watch. It was magnetic in so many different ways. That chemistry you don’t really think about it, but that was the key thing between the two of them.